Thanks for the intro, Tomm! I have been working with the guys since the very beginning of the grassroots movement & promotion of KELLS in 2009 -- and was beyond thrilled to be offered an official gig with The Saloon about this time last year. I am happy to help Tomm out with his blog -- so below please find a post about our great trip to Comic-Con and around Los Angeles at the end of this past July. 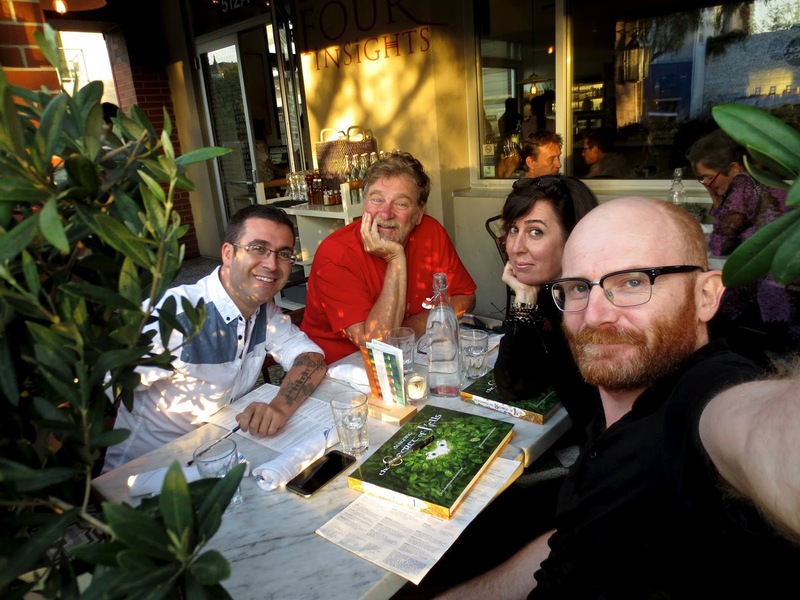 Cartoon Saloon co-founders, Tomm Moore & Paul Young came to SoCal last week for a whirlwind of events at Comic-Con and in Los Angeles. Tomm (Director - THE SECRET OF KELLS, SONG OF THE SEA) & Paul (Producer - THE SECRET OF KELLS, SONG OF THE SEA) arrived on the 23rd of July - just in time for us to head off for a full 4 days at Comic-Con (& meet a friend for margaritas!). And inscribe each book with a little drawing. 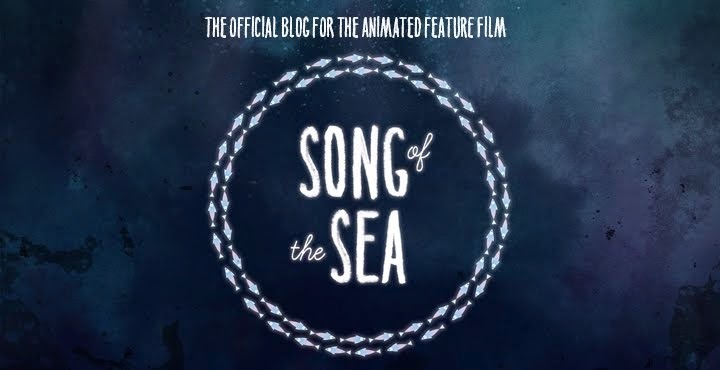 Friday, we also had a panel - a sneak peek of Cartoon Saloon's next film, SONG OF THE SEA (due for release later in the year). And to Comic-Con (and Laura J.) for helping make our time in San Diego run smoothly and efficiently. We had a brilliant time...!! At each event, Tomm got started on the drawings hours in advance to try and get ahead of the line. Pam helped us out on KELLS and she and her sons (pictured here with Tomm) are such huge supporters of The Saloon. Was great to see her. As she is a minor, I thought twice about posting their photo - but we were incredibly thrilled to meet them. Thank you both for your support and tenacity! We are so grateful to The Animation Guild for permitting us to use the meeting room. On Tuesday we had yet another panel, book signing and a reception hosted by ASIFA-Hollywood and Woodbury University. More delicious Porto's (Uncle Ed's and nutjustacookie.com for the vegans)! And more great talent came out to see us...!! If you haven't had a chance to see MOONE BOY - it is a fantastic series out of Ireland which you can see on HULU. One of its very gifted writers, Kilkenny-native Nick Murphy (L), came by to lend his support & say hello... 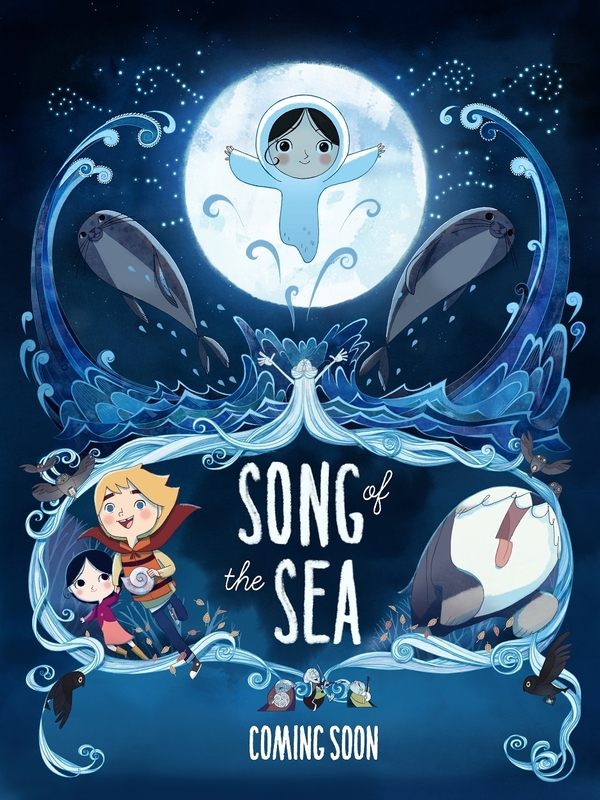 The series has animation done by Cartoon Saloon and stars (creator & co-writer) Chris O Dowd and (one of the stars of SONG OF THE SEA) David Rawle. Check out the series - it is HYSTERICAL! 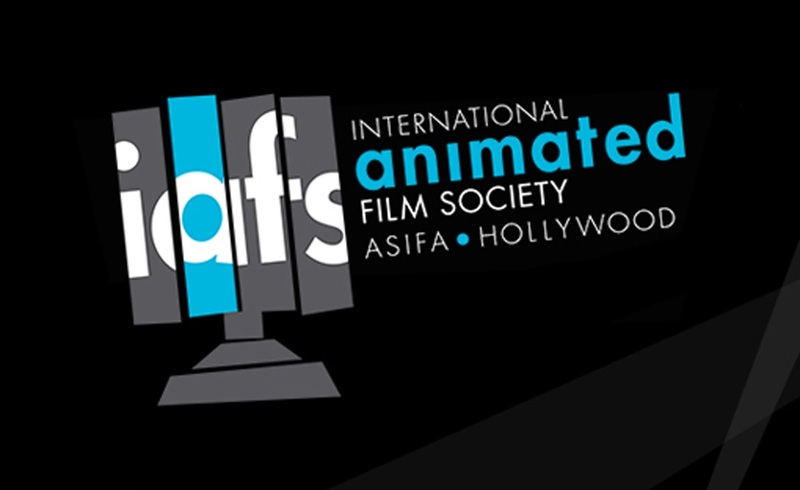 Thank you to ASIFA-Hollywood, Stuart Ng Books, Woodbury University, Woodbury's IT Dept (Brandon & crew) - and Jonathan at Cartoon Saloon for helping us live-stream the event -- and to all of the ASIFA chapters worldwide and to the fans of Cartoon Saloon for joining us during the live broadcast...!! And a special thanks to the Woodbury students (Christian, Emily & Zare) who helped out - and to our dear Emma Claire. We were so lucky to have you all. And sign books for their amazing crew including Donnachada Daly, Marek Kochout, Kevin Lima, Dominique Louis, Christophe Lautrette and Cinzia Angelini. Thank you for always welcoming us, DreamWorks...!! We headed off to meet some other tremendously gifted Irish friends at Lightstorm, working on AVATAR [Colbert Fennelly (L) and Richie Baneham (C)]. HOLY MOLY -- what an incredibly inspiring afternoon! We topped the last evening off with a truly lovely, peaceful vegan meal with our dear friend Roger (THE LION KING, KAHLIL GIBRAN'S THE PROPHET). So the promotional work has begun , I'm just back from a whirlwind trip of Southern California where we showed some sneak peek clips of the finished film and did a short making of presentation at ComicCon , for Asifa Hollywood and in Dreamworks Animation Studios. Jamie K. Bolio is our US representative and helped organise the whole trip. I've asked Jamie to start blogging here as well help me keep the blog up to date with our adventures in the US. We are beginning to plan the US release with our distribution partners Gkids and they will likely soon have a Facebook page dedicated to the US release , but we hope to keep all information cross posted here and have an official website for the film live very soon. But this blog will continue to be an informal behind the scenes insight into the making of and now the promotion of an independent animated feature film.